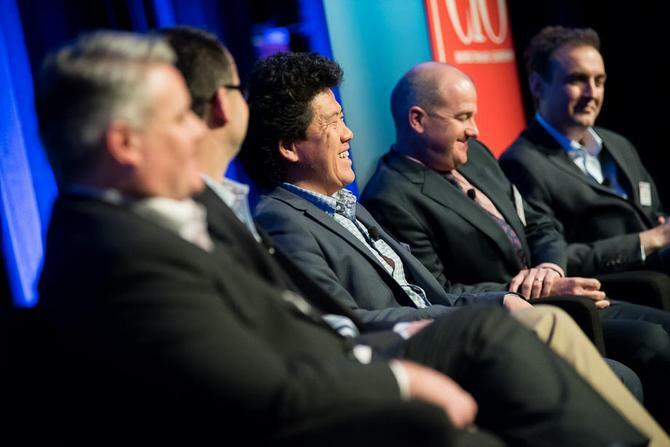 Marketing and IT leaders from the Australian Museum, Cancer Council, Commonwealth Bank, ING, and Tourism Australia discussed how they’re building a strategy for digital success during CMO’s recent Executive Connections event in Sydney, held in partnership with CIO magazine and ADMA. David Rumsey, CIO at Tourism Australia, said that building a relationship with the former CMO, Nick Baker, was a natural place to start turning digital disruption into business action. “I did that by stalking him [the CMO] to try and work out a way to get some common ground. I think this idea that you work with your CMO and your CIO is all a bit of a fallacy. There needs to be a relationship that’s built, so I spent a lot of time doing that,” he said. The relationship was cemented through key projects, the turning point being when Tourism Australia rolled out new technology to support its ‘Best Jobs in the World’ campaign. “We had to the really agile and scalable … and that worked really well and was a successful campaign. From that time on, Nick and I had a really good relationship,” Rumsey said. Chris Kenny, head of customer experience at ING, looks at digital engagement somewhat differently, arguing that it’s not about being digital first but rather simply meeting customer needs. “Digital will follow from that,” he told attendees. “In 1999, ING was doing business through the phone and email. But it was through focusing on what matters most to the customers… so of course, now we have a mobile app. “When we listened to customers, we found that they wanted to do two things [with the mobile app]. They wanted to check their balance and transfer money. “So we said, ‘that’s what we need to do and we need to make it really, really easy.’ As a result, we got it [the app] out to market quickly, it got really high ratings, helped with the NPS [net promoter score], helped with the customer experience. Commonwealth Bank has a reputation of being at the forefront of digital and mobile development in the financial services industry. Stuart Tucker, GM, brand, sponsorship and marketing services, said before the bank builds engagement functionality into its services, it defines customer needs. “We did a piece of work last year with some consultants and found that our social customers were two or three times more valuable than our non-social customers so we try to find those data points,” Tucker said. The Australian Museum began its journey initially be trying to define what ‘digital’ actually meant, said Jason Wong, the organisation’s head of digital, online and ICT. He said it’s important to not roll out technology projects for the sake of it, or simply ‘shoe-horn’ a solution to fit a specific business need. One example of business collaboration is IT working with the museum’s education staff to develop ways to use technology to reach audiences who can’t physically visit the museum. “The first meeting we had there were a lot of people wanting to build a website, a mobile app or move to video conferencing,” Wong explained. “I said to the educators, ‘What is it that you are trying to do? What’s your objective?